Austin Mickschl is a LaCrescent native. He studied History in college and wants to be an Educator. He attends Viterbo for Elementary and Secondary Education. He has been long time friends with our daughter Missy. He likes to work outside and wanted to give orchard work a try for the summer! 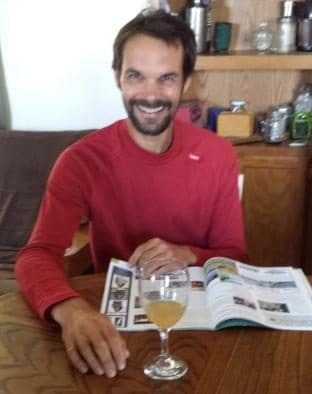 Ludovic Ingrand is from Rochefort, France. He went to the University of Poitiers with a Bachelor of Arts in Sociology. Before coming to Hoch Orchard and Gardens, Ludo worked in water treatment, landscaping, market gardening, CSA’s and farmer’s markets. Ludo came to the United States because he wanted to take some time for himself, travel, and meet new people before starting his own farm. He also wanted to gain inspiration for different ways to establish his future meadow-orchard. His favorite parts of the Orchard are the pigs. Ludo’s spirit animal is the Crane and rightfully so as he has participated in skydiving 13 times! Igor Lourenco is from Florianopolis, Brazil. He went to the University of the South of Brazil- Unisul and received a degree in Natural Therapy. 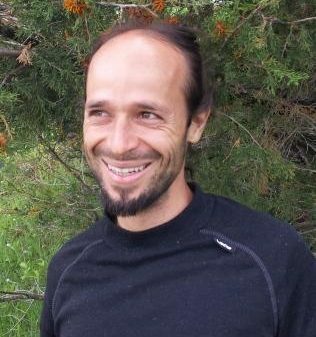 Previously, Igor has worked as a yoga instructor, Ayurvedic Therapist, and took a course specializing in Biodynamic farming. He decided to come to Hoch Orchard because he wanted to experience life on an organic farm along with learning the differences in farming techniques between other cultures. He specifically wanted to know more about subtropical fruits. Igor’s spirit animal is a Falcon although he would prefer if he could choose a spirit tree because they’re stronger. Silvana Cedeno is a returning intern from the Coast of Ecuador. She attended Uleam Manta in 2011 and graduated with a degree in Agro-industrial Engineering. Silvana was an intern in the summer/fall of 2011 and returned to Ecuador to work in a village for one year working with Organic Community Gardens. 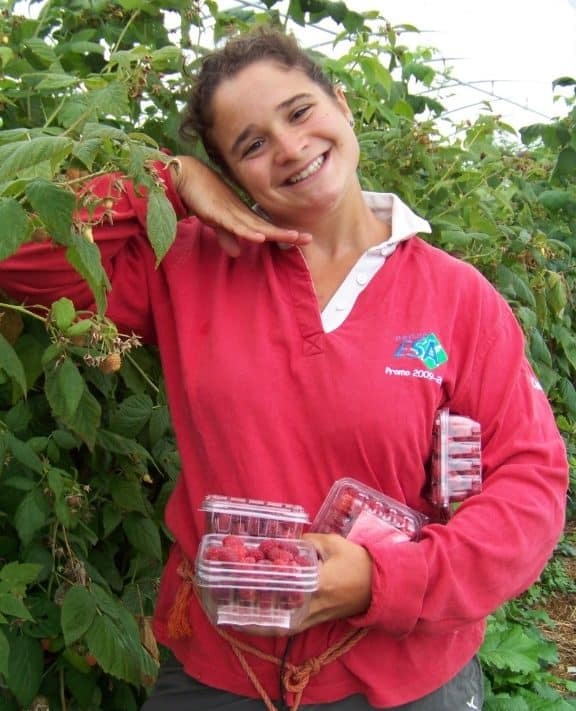 She also managed her family’s restaurant and now she’s back on the Orchard before she pursues her master’s degree in food science! She wanted to come back to Hoch Orchard because of the nature of integration from planting, to production, to marketing. She also wanted to improve her English and the free wine and cider also doesn’t hurt. Her favorite part of the Orchard is that everyone is free to be themselves. Silvana’s spirit animal is the monkey. Ironically her nickname is Mona which means monkey in Spanish. Courtney Kirker is originally from Mattapoisett, Massachusetts. Courtney went to school at Washington and Jefferson College and received a degree in political science. She worked in a hostal in Indianapolis and cooperated at Obama campaign in 2012. She also had worked at Whole Food Market, grocery store. 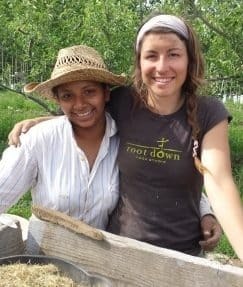 She decided to come Hoch Orchard because her interest in sustainable agriculture and food security she also want to join the organic food revolution and complement political activism with sustainable agriculture . She likes the self-sufficient aspect about the farm and the beautiful landscape.Owl is her animal spirit. Steve Jones is a native of Illinois. He studied Enviromental Science at Winona State. He wants to give farming a try, so he is working for a season on our farm! Steve was our main animal intern, he did a great job with the pigs. Clarie Bechu is a MAST intern from France. She grew up on a dairy farm. She is studying food safety and processing. She is interested in learning about fruit production and improving her english. Nino Bublishviliis a MESA intern from the Republic of Georgia. She works in Quality Control at a large juice factory in Georgia. She is here at Hoch Orchard to improve her english and to see a small fresh juice processing facility. Kaitlyn O’Conneris finishing her senior year at Winona State. She is living on the farm now and working a day or two a week in between classes. 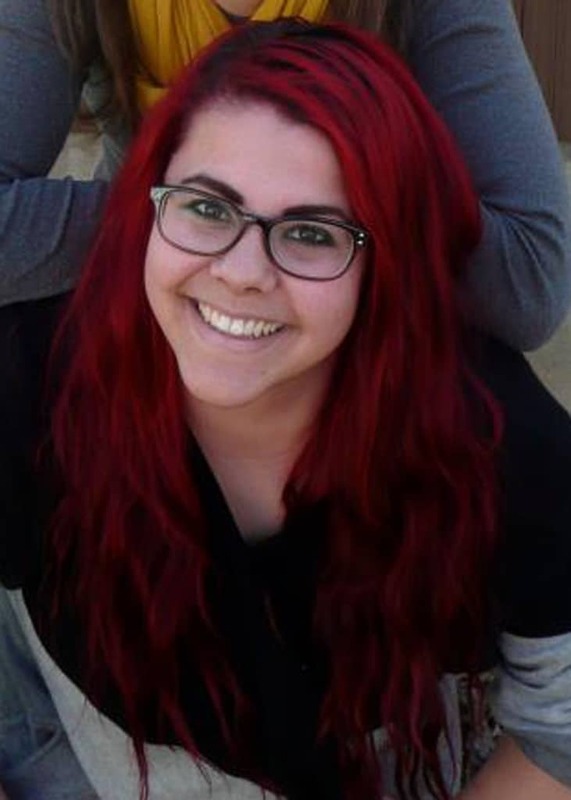 Kaitlyn is studying Environmental Science – Biology with minors in Geoscience, Sustainability and Studio Art. She will be working full time on the farm after she graduates in May. Jake Schultz is originally from Franklin, Wisconsin, but has recently spent living in Minneapolis, Minnesota. 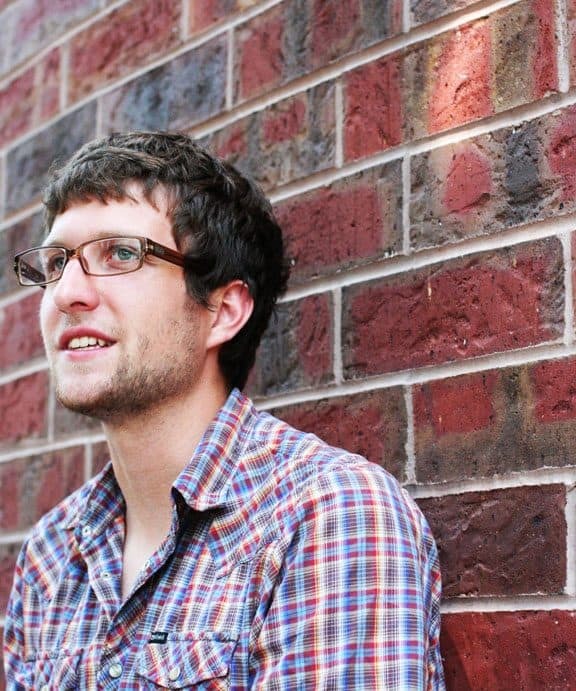 Jake went to school at the University of Wisconsin-Oshkosh and received a degree in secondary education and ESL. He had a teaching job after he graduated, but his love for food quickly changed his career path. Jake started with a small urban garden and it snowballed from there. 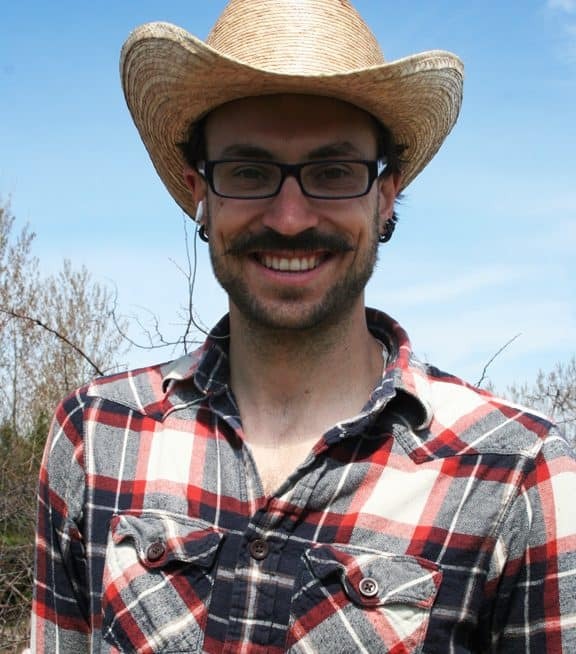 He has worked with permaculture CSAs, growling lots, local bakeries, and organic cafes. 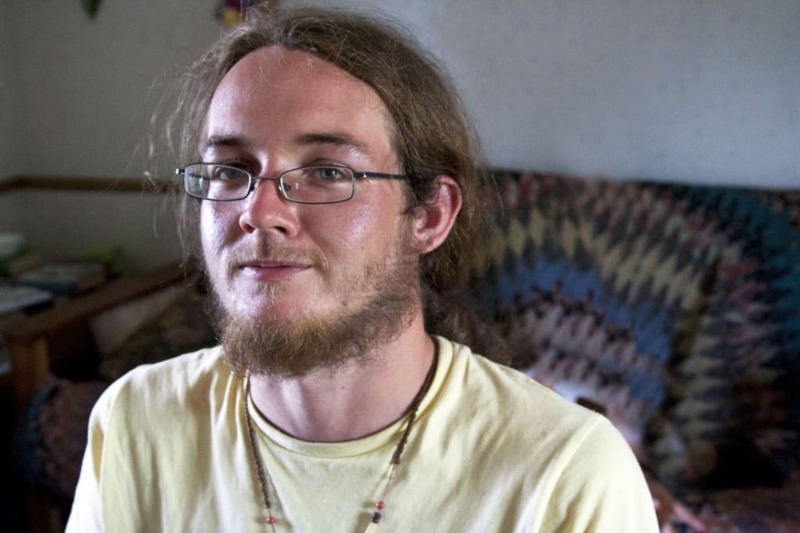 Jake also did permaculture work at a healing center in Iquitos, Peru in the Amazon. He then traveled to Ecuador where he actually worked with a past intern from 2010-11 from Hoch Orchard, Silvana Cedeno! 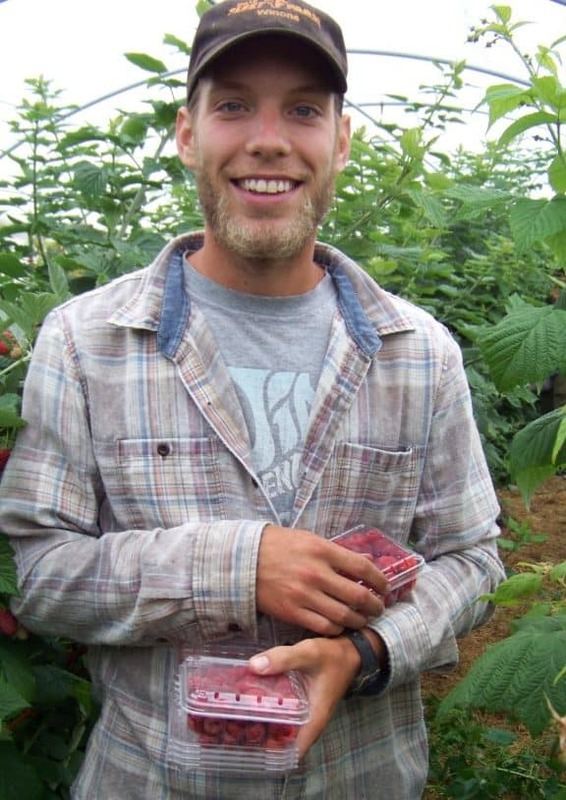 Jake came to Hoch Orchard and Gardens because of his love for food and growing, but also because of the influence of past intern, Nathan Dettman. Jake is excited to learn about perennial fruit growing to make him a more well rounded farmer. His favorite part of the orchard is the beautiful landscape. Nathan Dettman is a returning intern at Hoch Orchard from 2010-11. He was born in Virginia but has most recently lived in DeKalb, Illinois. He graduated from Northern Illinois University with a B.A. in theater studies. He found that he had a growing interest in health foods and where food came from, so he decided to pursue more of a growing lifestyle. 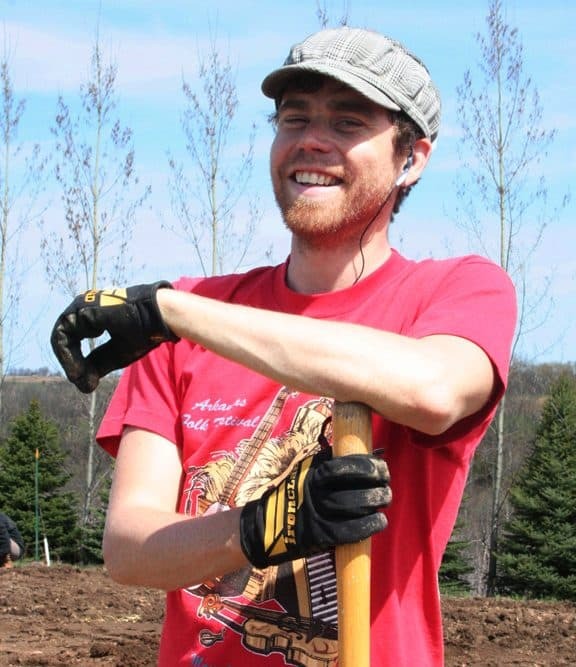 Nathan has worked at multiple vegetable CSAs. Most recently he was working part time with a CSA and part time working with small-scale urban gardening. Nathan decided to come back to Hoch Orchard and gardens because he was more interested in perennial systems. He also had a great first experience on the orchard and is really excited about the variety of produce and the closed loop, self-sustaining aspect of the farm. This year Nathan will be a crew leader and also will be overseeing the control of temperature and moisture in the high tunnels. 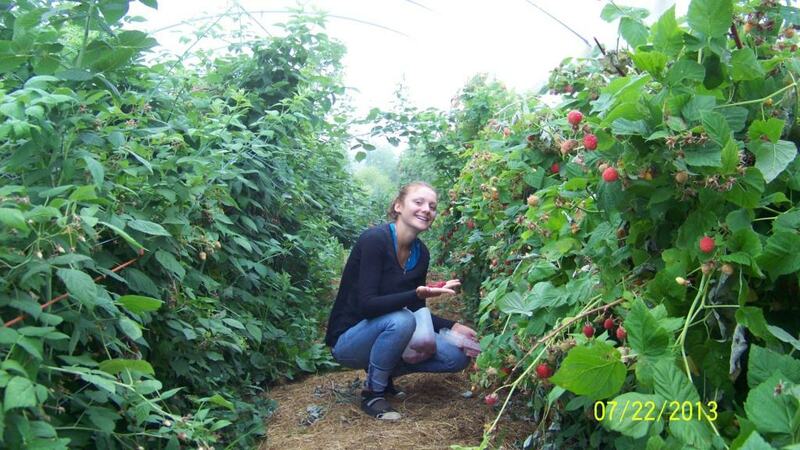 Missy Hoch is a returning intern at Hoch Orchards and Gardens. She graduated from the University of Wisconsin-Stout in 2012 with a degree in studio art. 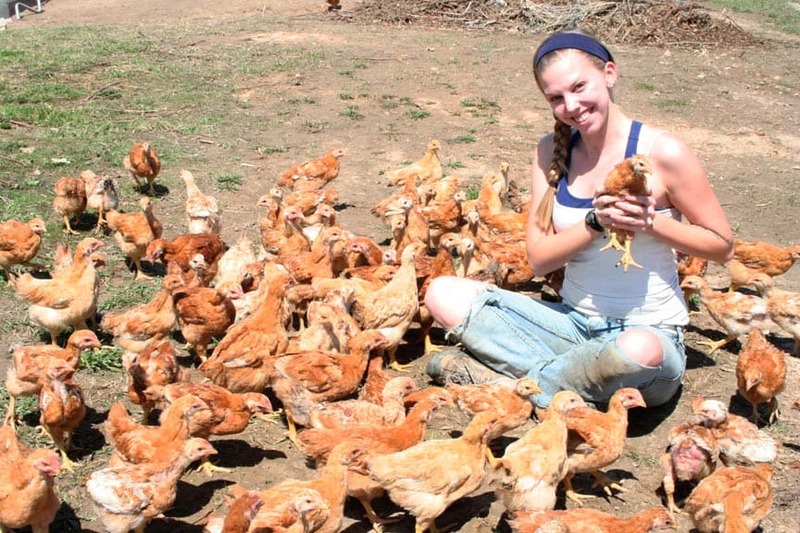 She is currently working full time at Twisted Skull Studios in La Crosse, WI and working on the farm part time. Missy is helping with some design for signs and displays this year. Being a people person like her parents, one of her favorite aspects of the orchard is working and living with a wide variety of people. 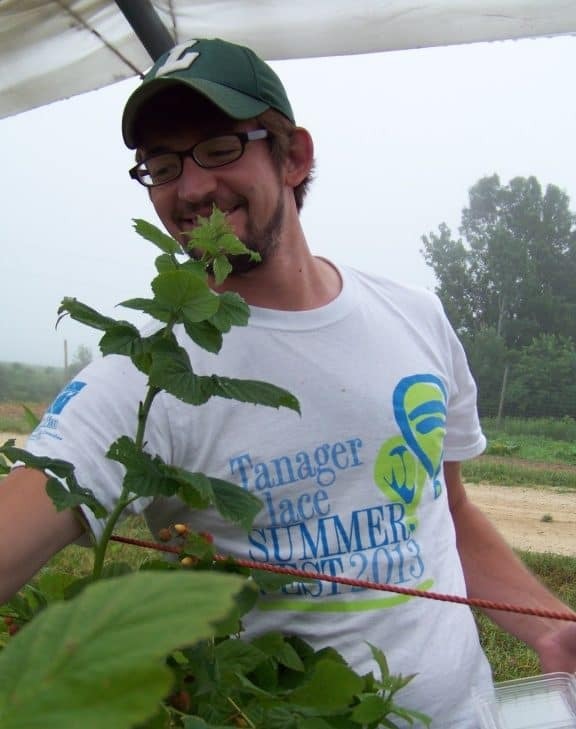 Nick Mabe is a returning intern and current Field Supervisor from Ames, Iowa. He graduated from Iowa State University with a degree in Political Science. Initially, Nick was interested in global environmental issues, but quickly realized that he could achieve more at a local level. He was lead into agriculture and became excited about the practical side of farming. The diversified business in fruit production and the ways that Harry and Jackie fairly treat the land while still maintaining a thriving business is why Nick decided to become a part of Hoch Orchards and Gardens. Nick decided to stay another year at the orchard to even further expand his knowledge and work outside in ‘one of the most beautiful areas of the country. Alan Devlin is from South Dublin, Ireland. He is a MAST student who is studying horticulture at the National Botanical Gardens in Dublin through the Waterford Institute. Coming to the United States was important to Alan because he wanted to experience diversity in the practicality of organic faring. One of the jobs on the orchard that Alan is in charge of is the Integrated Pest Management. Alan enjoys working at Hoch Orchard because it helps him learn more through a good hands-on experience. 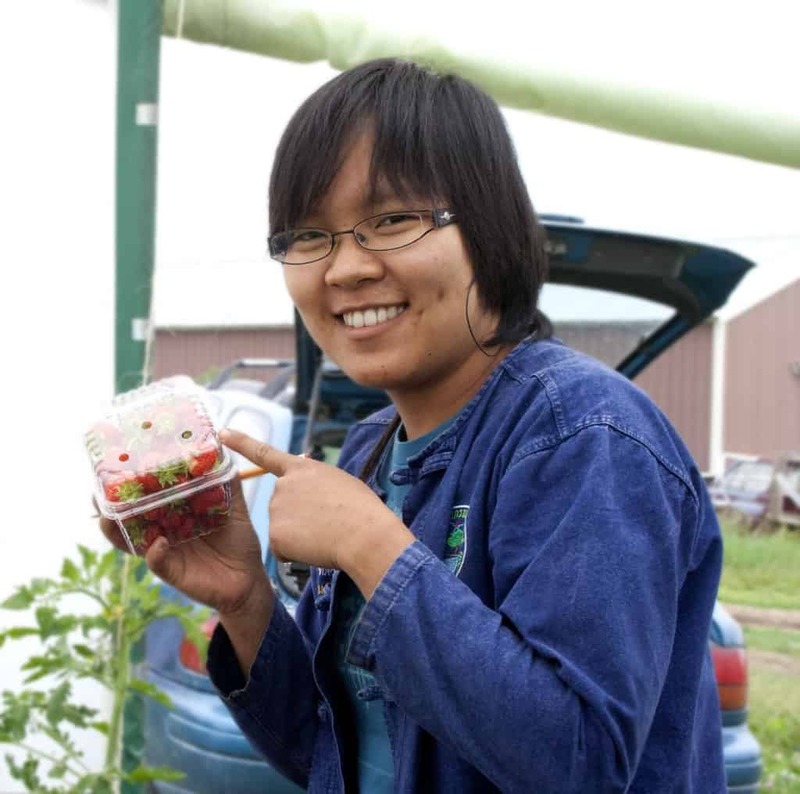 Yavittha (Road) Phitakwatchara is a MESA student from Ubon-Ratchatani, Thailand with a degree in Agroindustry. Road came to the United States as an intern to gain experience in the field, because in Thailand she was more of a scientific researcher. Road came to Hoch Orchards and Gardens because she heard good reviews from a previous intern, Kamolpatara (Pookie) Kasikam. Road’s favorite things about Hoch Orchard and Gardens are working with her new friends and eating fresh, healthy foods from the orchard. Clay Yapp is originally from Madison, Wisconsin. He is the Garden Manager and a general intern at Hoch Orchards and Gardens. Clay was initially interested in the orchard when he attended a field day with Foxtail Farm last year. After the field day, he inquired about an intern position at Hoch Orchard because he was curious and wanted to gain more knowledge on fruit production. 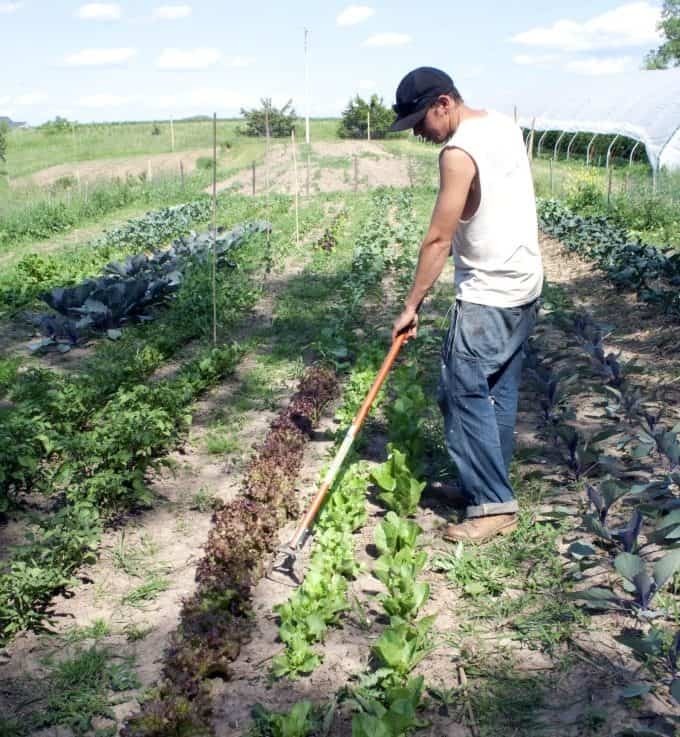 Clay has worked with mostly vegetable farming in the past, so he is using his previous experience to organize and maintain the gardens at Hoch Orchards this year. Working with a group of culturally diverse interns is one of Clay’s most appreciated aspects of the orchard. Sayonara (Sayo) Reyna is a MESA student from Manta, Ecuador. She is studying Agroindustry at la Universidad Laica Eloy Alfard de Manabi (ULEAM) and is currently doing her practical training at Hoch Orchard. Learning about the entire food process is one of Sayo’s main goals. She is interested in the entire cycle from planting up to selling. Seeing the transformation of food products and helping with making products in the commercial kitchen are her favorite jobs on the orchard. Sayo also loves her new friends and crew members and the free wine. Mark Parker graduated from the University of Wisconsin-Stout in the spring of 2012 with a Bachelors of Fine Arts in ceramics. He heard about Hoch Orchard from being good friends with Missy Hoch throughout college. Mark had always been interested in local foods and is quite the outdoorsman.